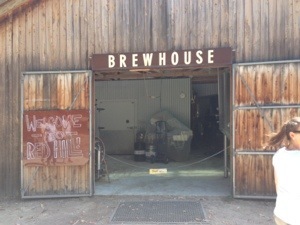 The most important thing, in the first instance, about Red Hill Brewery was that it was open. The Mornington Peninsula is a deceptively big place. 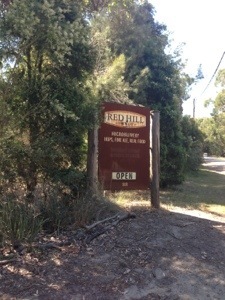 A drive from Sorrento to Red Hill is not a hop, skip and a jump and it was a relief to see the big OPEN sign on display. 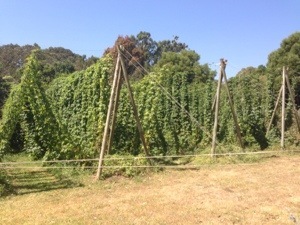 The first thing you notice as you walk into the brewery grounds are the hops growing on their rather large trellises. This is real rural brewing in action. 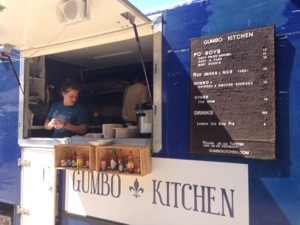 Once I reached the forecourt I was delighted to see that Red Hill had arranged for Gumbo Kitchen to turn up and they were dishing out some great New Orleans style food. A paddle was definitely the go and I was presented with a Golden Ale, a Scotch Ale, a Wheat and a hand pulled Best Bitter. These guys use their own hop flowers in their brews and the freshness of the taps is so enjoyable. The Best Bitter was superb. I reckon as an Aussie, I’m partial to more fizzy beers, but this was superb. Wonderfully bitey, but something to stay on for an afternoon. 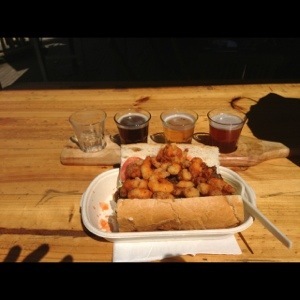 As always on this trip I was on a tight time schedule, but nothing was going to stop me from a Surf’n’Turf Po’ Boy. So with my paddle I enjoyed a superb concoction of the tenderest, softest beef that lay on lettuce and gherkins, topped with deep fried school prawns. Just divine. Looks like a pretty fun place!